As part of a new intiative by the Toll Community Centre – “Toll on Tour” – events will be held at Solid Rock in the High Street. 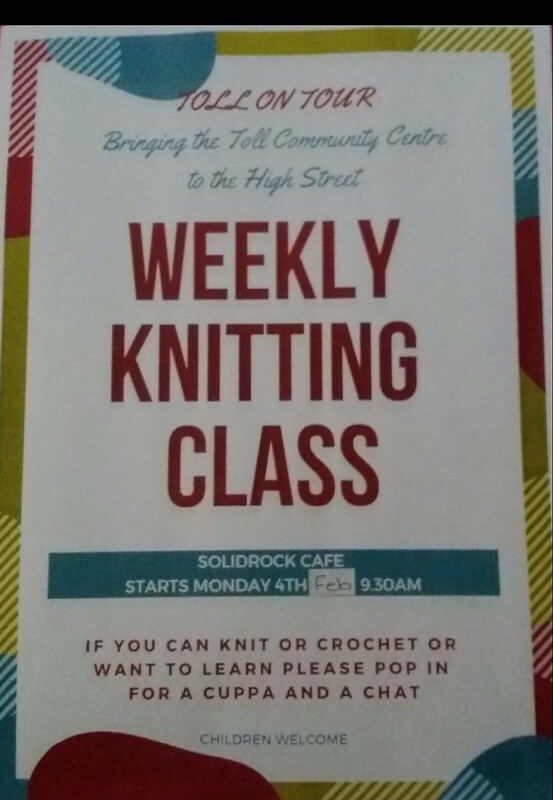 The first is a series of knitting classes starting on Monday. Whether you have never done knitting (or crocheting) or are already highly skilled you’ll be welcome. If you are a beginner you will be able to get some quality instruction to get you started – you don’t even need your own needles!